Iowa family law attorneys have used mental health records as evidence in cases for decades. However, the recent rulings of the Ashenfelter case and In re the Marriage of Muligan may dramatically change the way these records are used in family law cases. The recent case law shows a shift in the law to protecting these records instead of disclosing them. Therefore, mental health records may not be as available in family law cases as in the past. 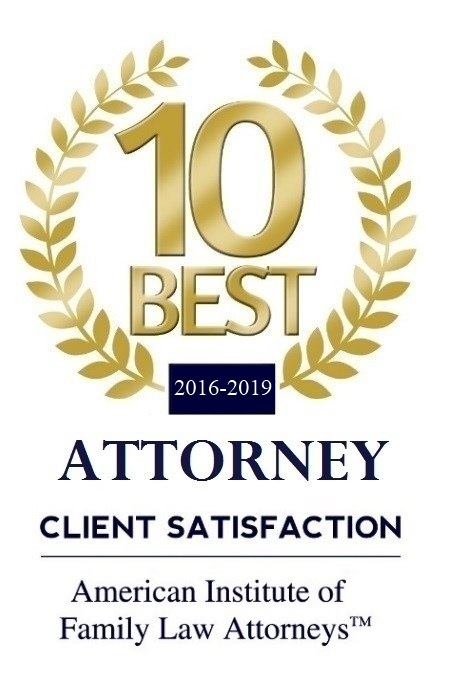 As an attorney, you may represent someone who has records he or she wants to keep confidential or you may represent the party who wants those records to prove some aspect of his or her case. With recent changes in the law, the family law practitioner must know the basics of the mental health privilege to effectively represent his or her client. A “privilege” is a right generally provided by statute or common law which gives protection to keep confidential certain communications unless otherwise ordered by a court or declared otherwise by statute. Privileges can also prevent relevant evidence from being admissible in a court proceeding. Chung v. Legacy Corp., 548 N.W.2d 147, 151(Iowa 1996). Privileges can be either common law or statutory. Iowa does not have a common law right to the doctor/patient privilege. See State v. Cole, 295 N.W.2d 29,32 (Iowa 1980). In Iowa the doctor/patient privilege, including the mental health professional/patient privilege, is statutory. Iowa Code §622.10 (2009). There is a federal common law mental health professional privilege. Jaffee v. Redmond, 518 U.S. 1, 116 S.Ct. 1923, 135 L.Ed.2d 337 (1996). However, it is unclear whether the federal common law privilege is broader than the statutory privilege in Iowa. In Iowa, the statutory mental health privilege applies to testimony by mental health professionals. § 622.10(1)(emphasis added). However, the privilege has been extended to apply to documents and records containing the confidential information. Ashenfelter v. Mulligan, 792 N.W.2d 665, 672 (Iowa 2010). See also Iowa Rule of Civil Procedure 1.503(1); State v. Heemstra, 721 N.W.2d 549 (Iowa 2006;) Howard v. Porter, 35 N.W.2d 837 (Iowa 1949); and Prader v. National Masonic Accident Association, 63 N.W. 601 (Iowa 1895). c. The information was necessary to enable the mental health professional to treat the person asserting the privilege skillfully. City of Cedar Falls v. Cedar Falls Community School Dist. , 617 N.W.2d 11 (Iowa 2000)(citing State v. Deases, 518 N.W.2d 784, 787 (Iowa 1994)). The implication of the Mulligan case is that neither party waives his or her privilege by filing a petition that involves a child custody determination. This position is supported by dicta in the Iowa Court of Appeals decision In re Marriage of Peck, 2001 WL 194918 (Iowa App.). The Court of Appeals discussed three cases from other jurisdictions (Bonneau v. Bonneau, 691 N.E.2d 123, (Ill. App. Ct. 1998) (holding a party does not put physical health in issue by filing for divorce and requesting equitable distribution of property without a request for maintenance); Laznovsky v. Laznovsky, 586 A.2d 1054, (Md. Ct. App 2000) (holding filing for divorce is not a waiver of privilege); Owen v. Owen, 563 N.E.2d 605, (Ind. 1990)(holding filing for divorce is a waiver of privilege in divorce and all subsequent child custody determinations.) The Court of Appeals indicated favor with Bonneau and Laznovsky which held that a party does not waive the privilege by filing for a dissolution of marriage. The Ashenfelters are the parents of Amy. Shortly after Amy separated from her husband Alan, Amy decided it was best for her child to no longer see her parents. Alan filed for divorce from Amy. The Ashenfelters then sued Amy for grandparent visitation. The basis of their claim was that Amy had a mental health disorder that made her an unfit parent. They requested Amy’s mental health records through discovery. Amy refused to provide the records claiming they were privileged. The District Court granted the Ashenfelter’s motion to compel. Amy applied for an interlocutory appeal which the Supreme Court granted. In December 2010, the Iowa Supreme Court held that mental health records are privileged and are not discoverable under Iowa Rule of Civil Procedure 1.503. Ashenfelter v. Mulligan, 792 N.W.2d 665, 672 (Iowa 2010). The Court went on to determine that Amy did not put her mental health at issue in a grandparent visitation case when she denied the Ashenfelter’s claims that she is unfit. Id. at 672. Therefore, the patient-litigant exception did not apply. Finally, the Court determined that mental health records are covered by the constitutional right of privacy. Id. at 673. That right is not absolute, but qualified. Id. at 673. The Ashenfelters argued that the qualified privilege could be over come through the use of a balancing test. The balancing test was first discussed in State v. Heemstra, 721 N.W.2d 549 (Iowa 2006). The balancing test weighs an individual’s privacy interest against other public interests. The Iowa Supreme Court discussed the use of a balancing test to determine when a party can overcome the privilege, but ultimately did not decide whether a balancing test could ever be used in a civil case. Ashenfelter at 673. Although the Supreme Court did not decide the issue, it is clear that the bar would be set very high to overcome an individual’s privacy interest. The Mulligan case was decided by the Iowa Court of Appeals about six months after the Ashenfelter case. The Court of Appeals reaffirmed the strength of the mental health privilege and also determined that it applied in a divorce involving children, just like it does in the grandparent visitation context in Ashenfelter. The Mulligan case is the sister case to Ashenfelter. Amy and Alan separated in December 2007 and Alan filed a petition for dissolution of marriage. Amy’s parents (Ashenfelters) sued her for grandparent visitation while her divorce was pending. Alan requested copies of Amy’s mental health records during discovery. The District Court ordered Amy to produce the documents. Alan then offered the records as exhibits at trial. They were admitted and Alan was allowed to have an expert witness review Amy’s records and then testify at trial. The trial court relied on the expert’s testimony and the evidence from the records in its decision to award Alan physical care of the child. The Court of Appeals held that a balancing test will not be used to determine whether a party’s mental health records are discoverable and admissible at trial in civil cases, except possibly in a CINA action. In re the Marriage of Mulligan, 2011 WL 2420005 *5 -*6 (Iowa Ct. App.). Applying this rule, the Court of Appeals held that the District Court erred in ordering Amy to produce her statutorily and constitutionally protected medical and mental health records and they should not have been admitted at trial. The Court of Appeals remanded for a retrial. The Mulligan case stands for the following propositions. First, the privilege applies in a divorce, even when children are involved. Second, a party does not put his or her mental health at issue by filing an answer in a divorce, even when children are involved. Third, a party cannot overcome the privilege by using a balancing test (except possibly in a CINA proceeding). Finally, while not absolutely decided, the strong implication of the Mulligan and Ashenfelter decisions is that merely filing for a dissolution of marriage and seeking custody orders does not put that party’s mental health at issue. The Ashenfelter and Mulligan cases are very protective of the privilege and should be used by family law lawyers to limit access and use of mental health records in family law cases. A party may waive his or her mental health privilege in several ways. The ways to waive include, but are not limited to, express waiver, waiver by implication (also called implied waiver), or putting his or her mental health in issue (also called the patient-litigant exception). There are also situations when the requesting party can get the mental health records even though the patient did not waive his or her privilege. This may occur when the privilege is abrogated by statute, the privilege failed to attach because the confidential statements were made in the presence of a third party or parties, or possibly by using the balancing test. Express waiver occurs when a client voluntarily discloses the content of privileged communications. Squealer Feeds v. Pickering, 530 N.W.2d 678, 684 (Iowa 1995)(overruled on other grounds by Wells Dairy, Inc. v. American Indus. Refrigeration, Inc., 690 N.W.2d 38 (Iowa Dec 10, 2004)). However, “Denial of an element or factor of one’s opponent’s case does not make that element or factor part of the case of the person making the denial” Chung v. Legacy Corp., 548 N.W.2d 147, 150 (Iowa 1996). Express waiver may be done in several ways, such as signing a written authorization. Iowa Code § 622.10(3)(2009). Waiver by Implication (Implied Waiver). Implied waiver occurs when “the [client] has placed in issue a communication which goes to the heart of the claim in controversy.” Squealer Feeds v. Pickering at 684 (holding that the attorney-client privilege of Iowa Code § 622.10 was waived by a party designating its former attorney as an expert witness). “It [waiver] may be based not only on words expressing intent to waive, but conduct making it unfair for a client to invoke the privilege.” Brandon v. West Bend Mutual Ins. Co., 681 N.W.2d 633, 642 (Iowa 2004)(citing McCormick on Evidence § 93 at 371 (5th ed. 1999)). A party may waive the privilege when they answer interrogatories in their family law case. The Iowa Supreme Court said, “We recognize waiver occurs when a person holding a privilege discloses or, for purposes of discovery, plans to disclose privileged matters.” Brandon v. West Bend Mutual Ins. Co., 681 N.W.2d 633, 642 (Iowa 2004)(citing Squealer Feeds v. Pickering, 530 N.W.2d 678, 684 (Iowa 1995)). “The determining factor rests with the actual content of the answers to the interrogatories. If the answers reveal privileged communications, then waiver can occur.” Brandon v. West Bend Mutual Ins. Co., 681 N.W.2d 633, 642 (Iowa 2004)(discussing attorney-client privilege codified in Iowa Code § 622.10). Patient-Litigant Exception/Mental Health in Issue. Waiver by implication also occurs when a party puts his or her mental health in issue. The Iowa Code states that the privilege is waived “…in a civil action in which the condition of the person in whose favor the prohibition is made is an element or factor of the claim or defense of the person or of any party claiming through or under the person.” § 622.10(2). This is called the Patient-Litigant Exception. Ashenfelter v. Mulligan, 792 N.W.2d 665 (Iowa 2010). It is unclear whether a party puts his or her mental health in issue simply by filing for a dissolution of marriage, paternity action, or for the court to determine child custody. Privilege does not apply in court proceedings “resulting from” or “related to” a report pursuant to Ch. 232. Iowa Code § 232.74. The Iowa Court of Appeals had to decide whether Iowa Code § 232.74 abrogated the mental health privilege for the children incidentally involved in an original divorce proceeding in In re the Marriage of Wofford, 690 N.W.2d 463 (Table), 2004 WL 1396271 (Iowa App.). In Wofford, the Petitioner had two children from a prior marriage. She filed for a dissolution of marriage from the children’s stepfather because he allegedly had been sexually abusive to the two children. She received an ex parte order and injunction from the district court prohibiting contact between the Respondent, his wife, and her daughters. In her petition, she requested a permanent protective order for herself and her daughters because the Department of Human Services (DHS) informed her they would file a juvenile action if she did not request a no contact order. The Department investigated the allegations. The Department determined that the allegations that he indecently exposed himself to the girls were not confirmed. During the discovery process of the divorce, the Respondent’s attorney asked the children during depositions about communications that occurred during counseling sessions with their counselors. The GAL and the Petitioner’s attorney objected on grounds of privilege. The Respondent filed a motion to compel testimony from the Petitioner and the counselors regarding these communications. The Court of Appeals agreed with the district court that the Respondent was entitled to the discovery. The Court of Appeals held that Iowa Code § 232.74 abrogated the privilege even though that code section would rarely apply in a dissolution of marriage case. Statement Made in Presence of Third Party. The mental health privilege does not attach if the communications were made in the presence of a third party. See State v. Tornquist, 120 N.W.2d 483, 495 (Iowa 1965)(abrogated on other issue by State v. Moorehead, 699 N.W.2d 667 (Iowa 2005)). However, the privilege does attach if the third party or parties were present to assist the professional or present receiving counseling in a group setting. City of Cedar Falls v. Cedar Falls Community School Dist., 617 N.W.2d 11 (Iowa 2000); see also State v. Deases, 518 N.W.2d 784 (Iowa 1994)(holding that privilege attached when inmate spoke to nurse in presence of prison guards who were assisting by protecting the nurse and guarding the inmate). A good example of group therapy in the family law context is couple’s therapy. The privilege still attaches even though both the husband and the wife were present for therapy since they were receiving counseling together. See City of Cedar Falls. It is unclear whether the Court can use a balancing test to determine whether there is a strong enough interest to overcome the privilege. The Iowa Supreme Court refused to decide the issue in Ashenfelter. Ashenfelter v. Mulligan, 792 N.W.2d 665, 673 (Iowa 2010). The Court instead held that “even if we were to apply a balancing test, Amy’s medical records would remain protected, we need not address whether a balancing test is appropriate in all civil cases.” Id. at 673. However, the Court of Appeals determined the Ashenfelter decision held that in a civil case no interest is sufficient to overcome the constitutional right to privacy and statutory privilege. In re the Marriage of Mulligan, 2011 WL 2420005 *5 (Iowa Ct. App.). The Court of Appeals made sure to leave the question open for CINA cases. If a party does not follow the procedure of Iowa Code § 622.10 when requesting mental health records, then the district court may impose discovery sanctions against that party. Keefe v. Bernard, 774 N.W.2d 663 (Iowa 2009). The Keefe case dealt with a medical malpractice claim. The plaintiff went to a doctor to receive a second opinion. As a result of the second opinion, the plaintiff sued her first doctor. The defendant’s attorney failed to notify the plaintiff’s attorney that the defendant’s attorney was going to interview the doctor who gave the plaintiff a second opinion. The petitioner’s attorney later learned of the communications and requested disclosure of the information based on the violation of the procedure in Iowa Code § 622.10. The Supreme Court agreed and ordered the defendant’s attorney to disclose his notes from the meeting to the plaintiff. While the sanction in this case was disclosure, the Court could impose stricter sanctions. The family law practitioner should make sure to follow the procedure of Iowa Code § 622.10 to prevent sanctions against yourself or the client. There are a lot of questions left to be decided in this area of law. 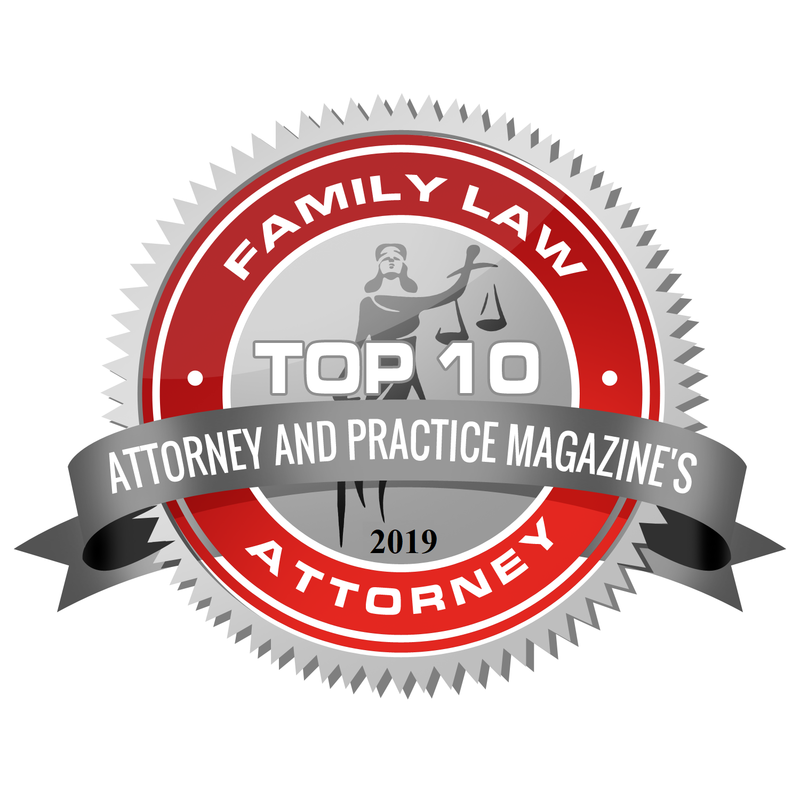 Mental health records are important to family law cases as potential exhibits, but also to understand the underlying dynamics of the familial relationships and personalities involved in the family law case. There are arguments to support both the disclosure and protection of mental health records in family law cases. Attorneys should know the basics about mental health records and how to get them during the discovery process since they are treated differently than other facts in family law cases. 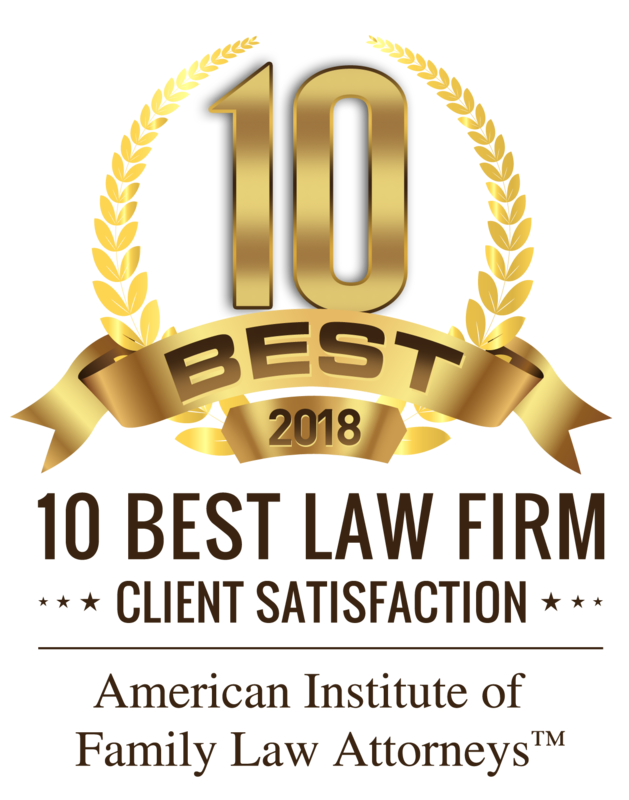 Until an appellate court answers the ultimate question, attorneys need to litigate this issue and serve their clients as effectively as possible in this unsettled area of law.